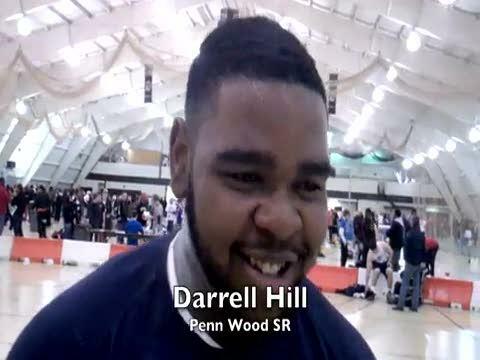 Penn Wood SR Darrell Hill put the shot a US#7 60-0.75. Dustin Wilson anchored his DMR with a 4:19 1600, the first distance relay from the school to quality for States. He then won the 3000 in 8:52.74.